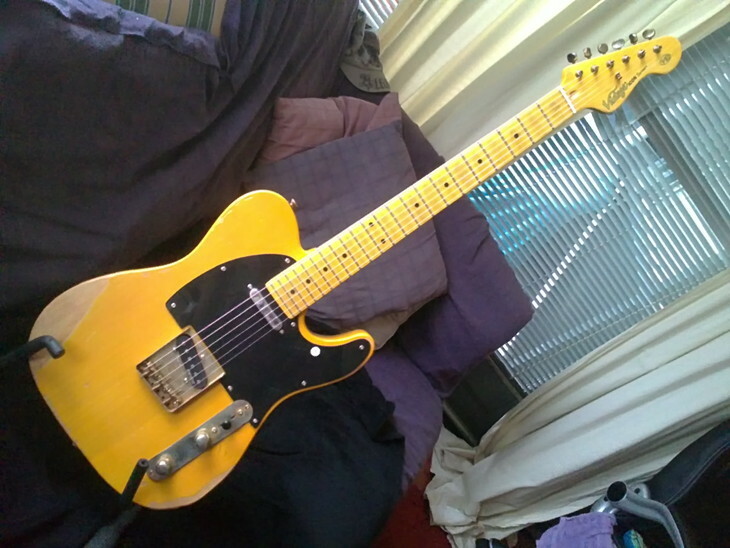 thought I'd better keep it cheaper this time so it got a Vintage, Icon series Telecaster, never had a tele before.., liking it so far except for the body shape when playing sitting. gonna do the clean rhytm guitar on 'Oye Como White Guy' with it asap! Looks well giged - Look forward in how it sounds. Congrats Max. I know "Vintage" gits very well. The git shop here provides many of these instruments ( gits & basses) and I checked ´em all. Good price/quality-relationship. A friend seems to be addicted for these gits cos he has collected 6 !!! gits from this company. 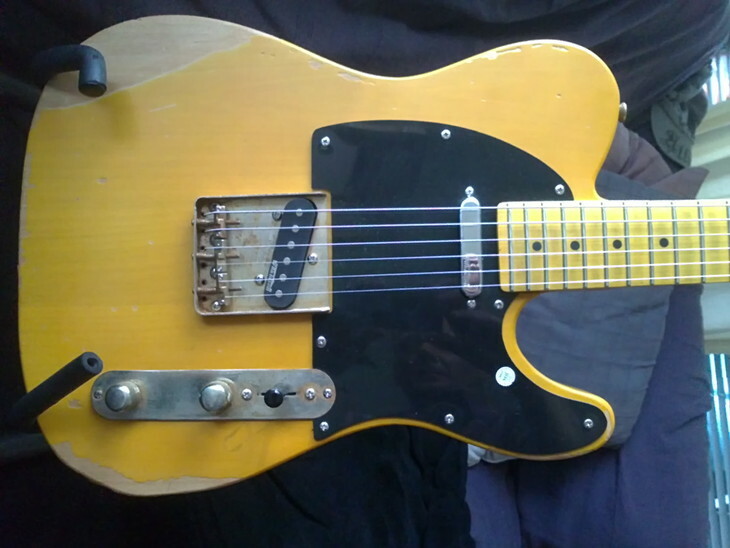 I see he has almost the same tele, but without the used look? Tried a London City strat also, bit cheaper, but much less quality, so the choice was easy. I am not too fond of the used look, but thought of that as not important. 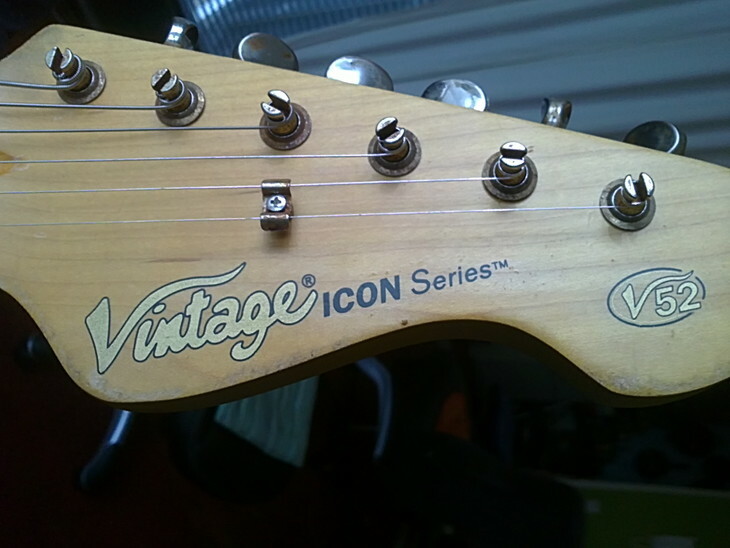 Not used to the switch position yet, but that needs some time, the action really is great, the guy from the guitar shop here(Delft) did a great job, also an my strat btw. Hope I'll get to recording today!